Washington places first, followed by El Chalten in Argentina, Milan, Zermatt in the Swiss mountains and then Valletta. Plovdiv in Bulgaria is sixth followed by Salisbury in the UK, Vienna, Chennai in India and Toronto. To compile the annual top 10 list, Lonely Planet asked its worldwide staff, contributors and authors for their well-known and lesser-known recommendations, and spots that have something special to offer in 2015. 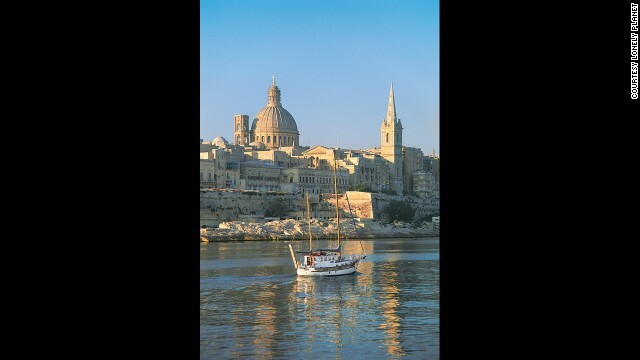 ENTRY: Fifth place Valletta, Malta, will mark 450 years since the Great Siege in 2015. That's when a small number of Christian Maltese knights battled the Turks, with much bloodshed on each side. Some 17th century architecture still remains, and modern design is also taking over the city. Of note: architect Renzo Piano's parliament building, a gateway to the city, and his open-air auditorium.